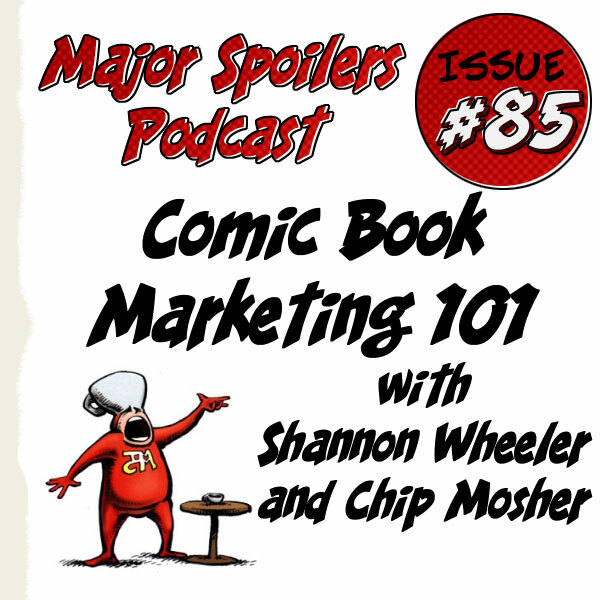 In this issue of the Major Spoilers Podcast, Stephen sits down with Chip Mosher, Marketing and Sales Director of Boom! Studios, and Shannon Wheeler, creator of Too Much Coffee Man, to discuss marketing small and independent comic books. Anyone who yearns to become a successful publisher or creator of a popular comic series needs to listen to Comic Book Marketing 101. This was a great cast. I’m in the very early stages of creating my webcomic, and this was pretty helpful. BTW, I’ll be sending you guys the first issue to review once it’s done!